Are you unsure of which job advert to use? 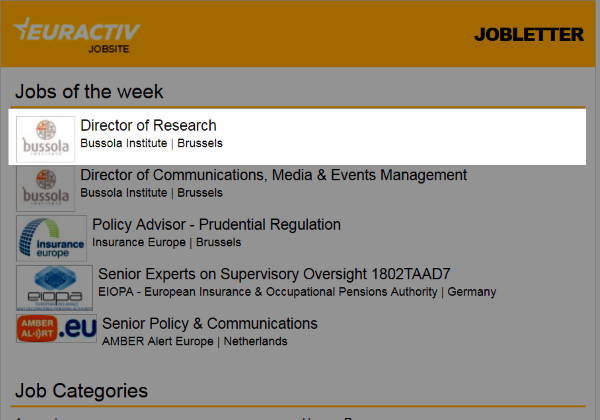 We are available to help you reach the most relevant candidates on EURACTIV. Call us at +32 (0)2 226 58 19 during our office hours Monday-Friday 9-12 and 14-17 CET. Click here to learn more about our audience. 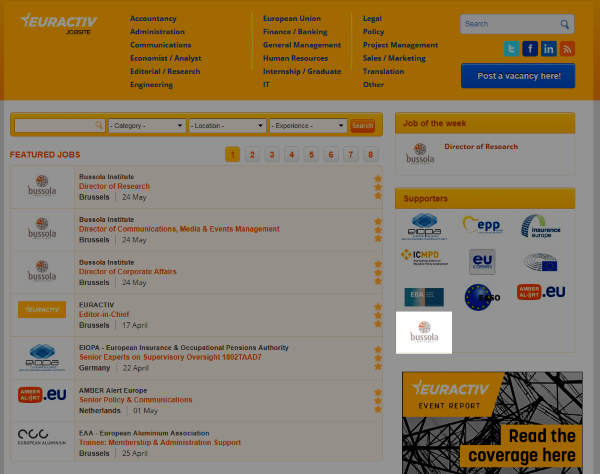 Highlighted logo visibility on top of "Featured Jobs"
Recommended for mid- to senior-level positions that require accomplished candidates with EU affairs expertise and network. Click here to know more about our readers. 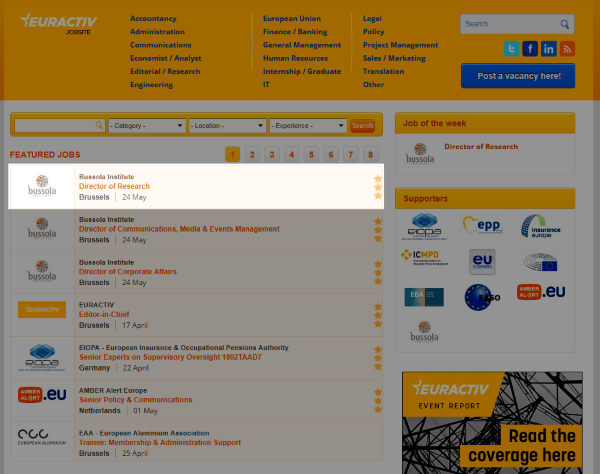 Logo visibility in "Featured Jobs"
Recommended for junior- to mid-level positions that require talented and well-educated candidates with an understanding of EU affairs. 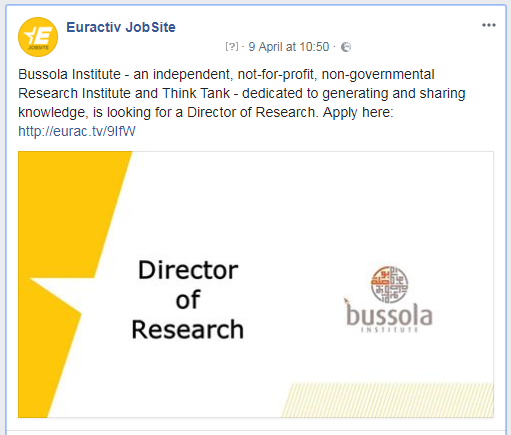 Suitable for internships and short-term postings. 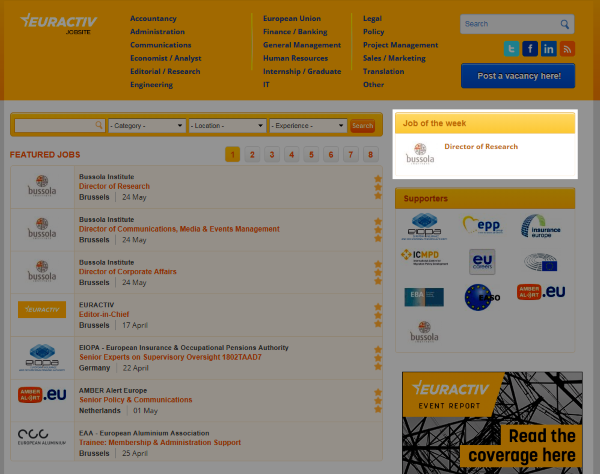 Only vacancies relevant to the EURACTIV audience will be published.